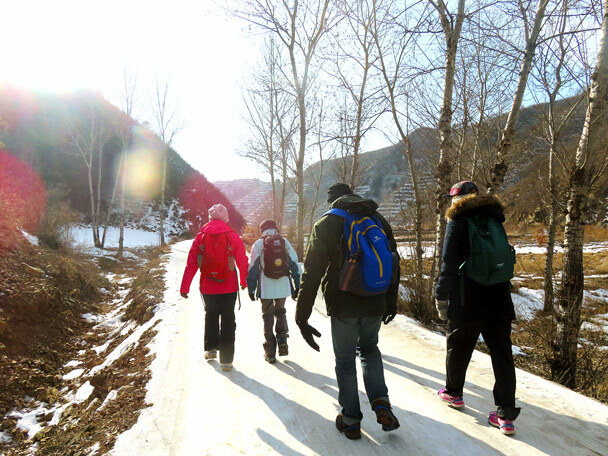 We start this hike way out in the countryside, far enough we’re past the border of Beijing and into Hebei Province. It’s also far enough out of Beijing that it feels significantly colder. 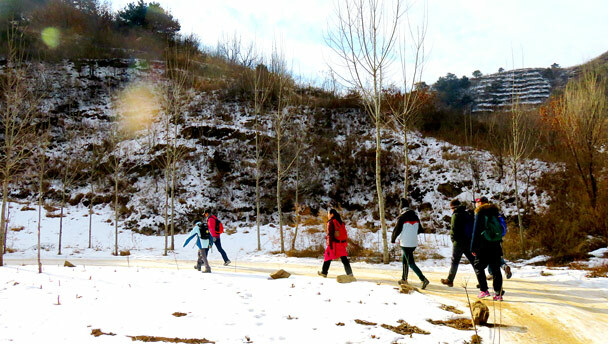 The hike starts off with a walk into a remote farming village. 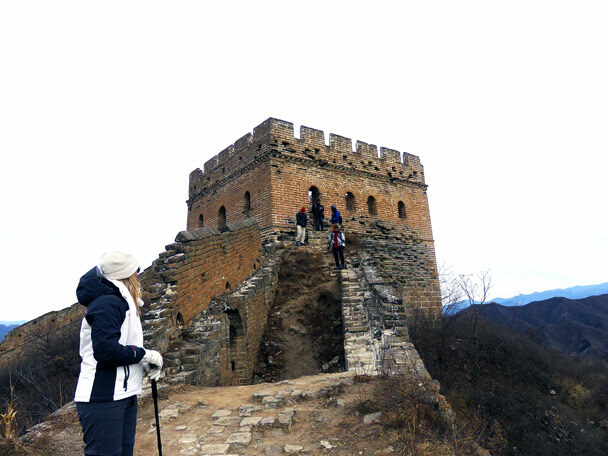 We then hike up into the hills behind the village to reach the unrepaired western end of the Jinshanling Great Wall, and follow it into a park area where the wall has been well repaired. With a bit of snow still in the hills this hike was very picturesque. See the photos below! The road in to Hemp Village. The road was iced over and slippery. We’d provided some crampons to help with this. We’re good friends with one of the farmers here ... and also friends with his little puppy! 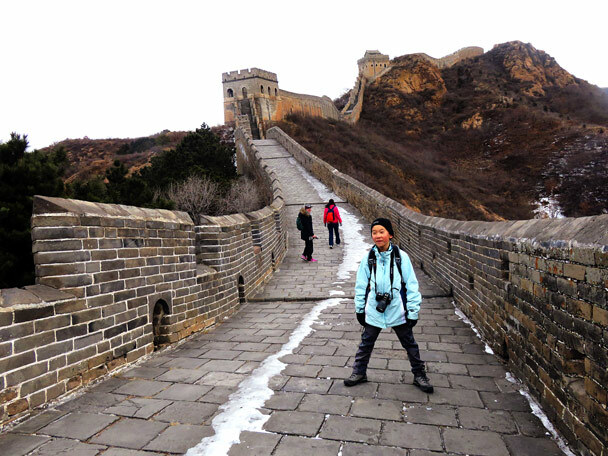 The Great Wall is at the top of the big hill behind the village. Here, we’re still on the outside. 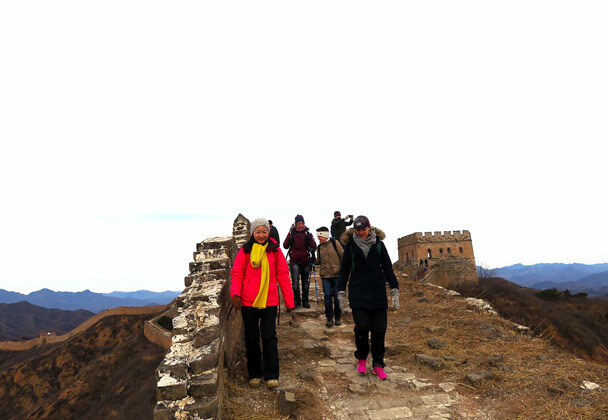 Are we going to climb the wall? 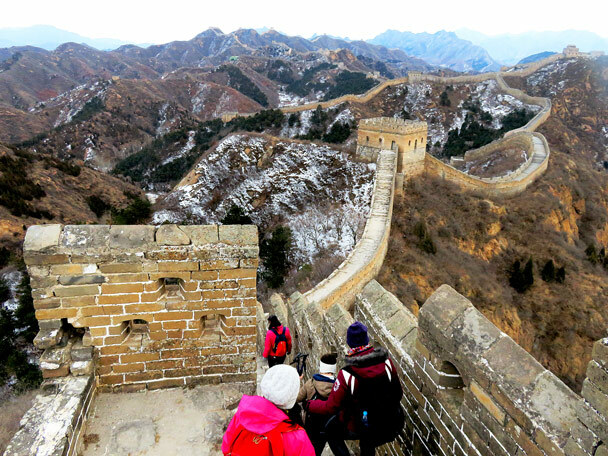 No need to climb the wall – we know where the gate is. 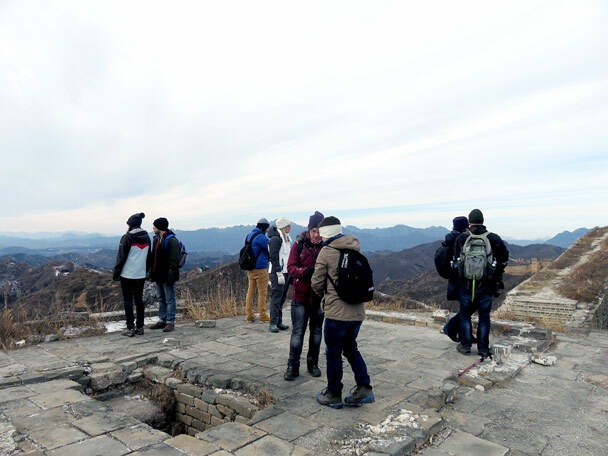 Up on top of a tower, and looking out towards the Gubeikou Great Wall. 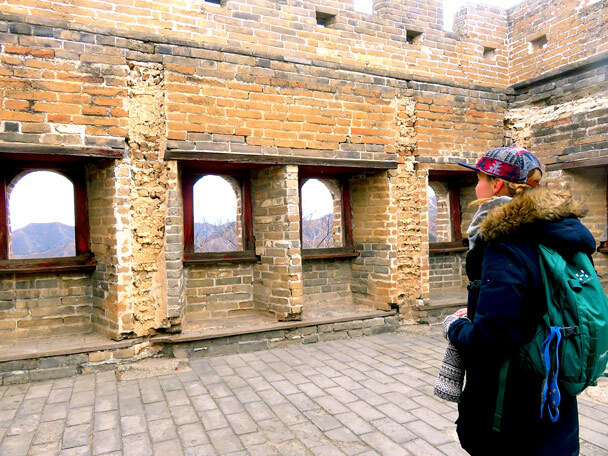 A big watch tower at Jinshanling. 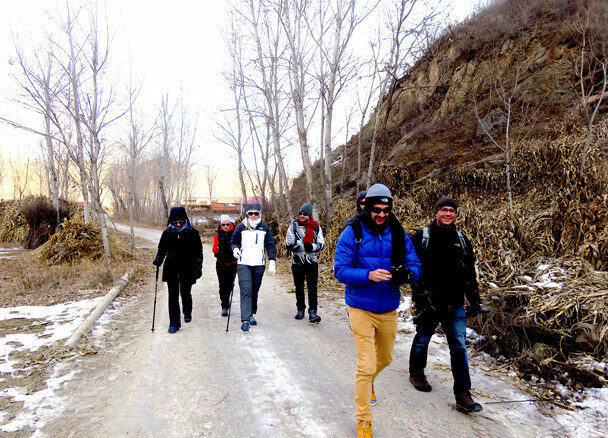 The hiking team on the way over to Jinshanling. 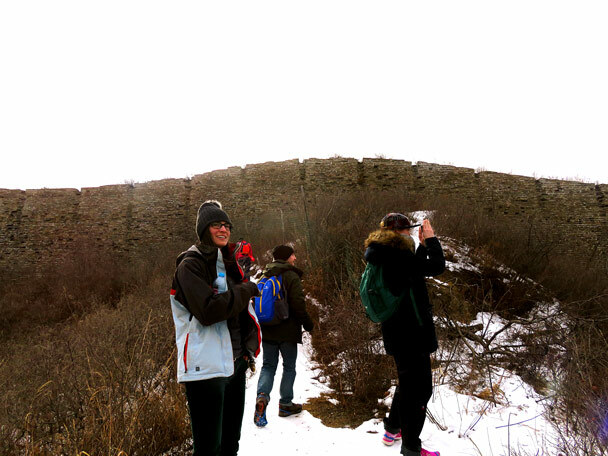 A great view of the wall at Jinshanling. 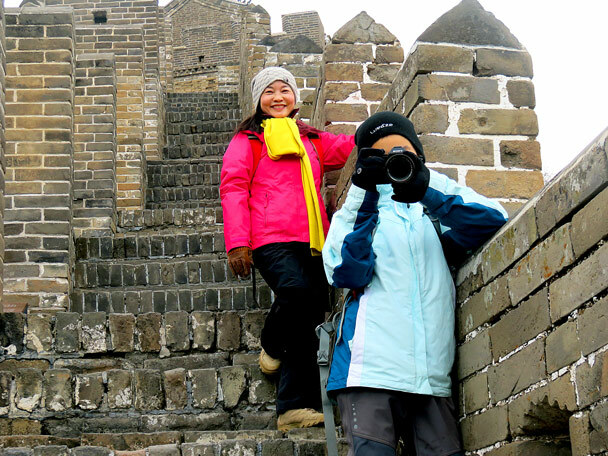 Photo time on the steep steps. 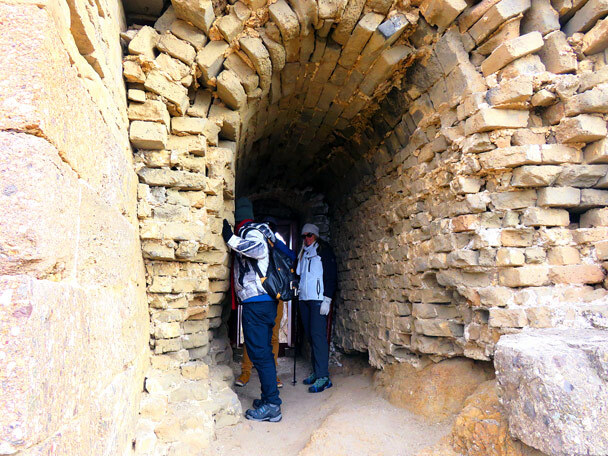 On to the repaired part of the Jinshanling Great Wall. We were talking about how it’s colder out here – the snow you see in the photo fell in November, and still hasn’t melted.